Come and meet Adelaide’s biggest dog lovers! you think you love dogs? these guys will give you a serious run,-after-a-tennis-ball for your money; and with oodles and oodles of training and experience, they’re the best team in the business! Meet our ‘Chief Puppy Cuddlers’, and very proud owners of Dogcity Daycare, Dan, Alex and their three year old, Evie: This dog-obsessed trio spend their every waking moment either at, or talking about Dogcity - and between three dog-filled facilities, and three furry dogs of their own at home, Dan, Alex and Evie are always covered in dog hair and never without a smile! They have the best jobs in the world, and they won’t let you tell them otherwise! Meet our Area Managers: These super stars are our ‘Top Dogs’! They move between all of our facilities, making sure to share their doggy love and expertise around! With more dog experience than you could poke a slobbery, half-chewed stick at, Dillon is our in-house dog guru (we’re serious, the dogs literally watch his every move… which can make toilet breaks a little awkward - ha!). Dillon has an unwavering interest in dog behaviour and group play facilitation, as well as canine enrichment, so it should come as no surprise that he is studying a Diploma in Canine Behaviour through the International School for Canine Psychology. Dillon has energy that we’re all jealous of, and leadership skills that ensure our team are always happy, hardworking, enthusiastic and at their dog cuddling best - which is exactly what your dog deserves! She’s the queen of creating enrichment games, and one of the most organised people we know; Kelly is one of those ‘quiet achiever’ types, not quiet like a sleeping puppy, but more like a working Kelpie, because you know whenever she’s around everything is going to be organised, fun and getting done. There isn’t a dog Kelly doesn’t know and hasn’t cuddled - and she leads our PAWSOME team by her PAWSOME example, and ALWAYS with a smile. Kelly is working towards a big future within the animal industry, and is planning on studying Veterinary Nursing while working with the Dogcity pups. After ten years of running her own successful, Adelaide Hills cafe - which was dog-friendly, OF COURSE; Kirsty put down the coffee cups and picked up some FLUFFY PUPS at Dogcity instead! Kirsty’s endless customer service experience together with her (un)healthy dog-obsession are the PAWfect addition to the Dogcity family. Meet our Facility Managers: These bright and bubbly people are the smiling faces that your dog - and you - will see every morning when you arrive, and every evening when we say '“see you soon”. Our Facility Managers offer doggy love, crazy energy and a client concierge service, at each facility, every single day of the working week! Kim is a giant-breed loving, horse riding, and self confessed dog selfie snapper; she has more customer service experience than we have dog hair, and her excited squeals greet every dog and human who walks through our doggy door. She might be pint sized, but that doesn’t mean Kim won’t scoop up every dog she can for a squishy hug. Gaby is actually a fully qualified Vet from Ecuador, who owned and ran her own boarding facility while she lived there…how’s that for prior doggy experience!? Swapping her stethoscope for a tug-rope was a no brainer for Gaby who has a keen interest in dog behaviour and Canine Myofunctional Therapy (doggy massage). No dog goes uncuddled when Gaby is around! Taylor has lived and breathed small business - running her own Dance Studio from when she was in High School - since way back. Her organisation, enthusiasm and bounce-around energy is a match made in doggy heaven for us and all of the Dogcity pups. Don’t be surprised if you see Taylor in Concierge with a hoard of fluffy helpers - usually sat right on the desk - in tow. With a Bachelor of Animal Science under her treat bag, as well as years experience working in the Specialist Surgery department of one of Adelaide’s referral centres, Felicity isn’t short on dog knowledge. She’s creative and full of energy, the two perfect ingredients for a Dogcity Leader. Cool, calm, organised and covered in dog fur, that’s our Jessie! After spending too long - her words, not ours - working with people, Jessie jumped ‘kennel’ to the animal industry. She loves nothing more than a big cuddle-sesh with the puppies, and is a legendary story teller, which comes in handy at the end of the day where she shares all of the daily doggy fun with our human clients. After spending much of her adult life as an Emergency Veterinary Nurse at one of Adelaide’s busiest 24/7 clinics, it was time for a fur-change! With the Dogcity scene being just as high-paced, but full of a whole lot more play, fun and cuddles, Annalise has found her ‘happy place’, linking her prior experience and skills with her love of dogs. Meet our Canine Enrichment Officers (CEO’s): This crazy bunch spend their nights on Google and Pinterest researching the best doggy enrichment games and activities, and their days making sure our furry friends have the best possible time with us. Their job is literally to play games with and cuddle dogs, and they’re PAWFECT for the role! This girl knows how to work with dogs - you should see her! With more doggy skills than most people could even dream of, Steph is a doggy BFF to all. Big dogs, small dogs, working breeds or scent hounds, Steph has something to tickle all of their furry senses. Hannah could probably talk your fluffy ears off, and thats why we love her! She will fill your dog’s day with 937296 throws of the tennis balls and probably the same amount of cuddles, and then she’ll fill your afternoon with an endless supply of funny doggy stories to keep you up to date with everything your pup did during the day. 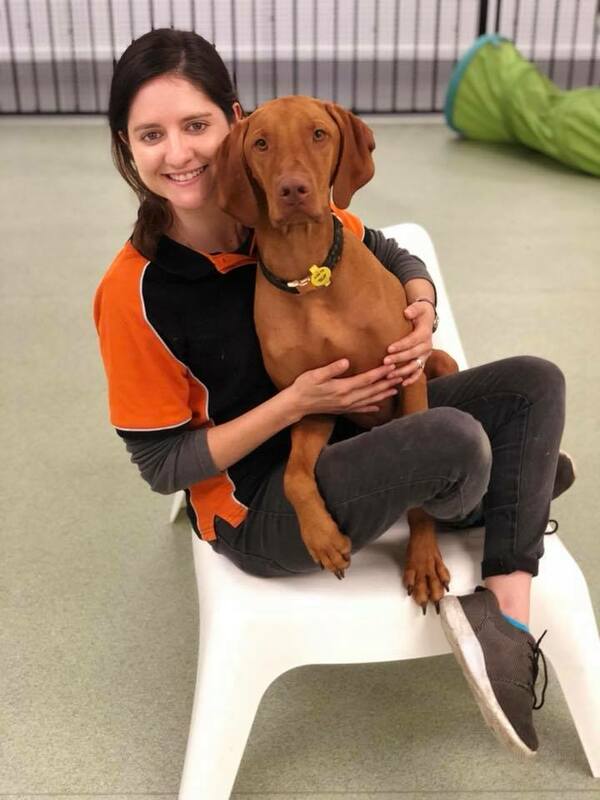 She has a Bachelor of Animal Science, grew up on a farm and has perfected the ‘lift, squeeze & cuddle’ technique that all Dogcity team members need - you don’t need to tell us twice that Alice is the PAWFECT match for the Dogcity team! No dog will go un-cuddled when Alice is in the play pens. With the most infections laugh you would have ever heard, Beth has more energy and enthusiasm than even she knows what to do. Her favourite Dogcity activities are finding ways to keep our super dooper clever pups stimulated, running ‘Daily Doggy Relaxation Time’ and giving cuddles to our littlest friends. Beth loves big dogs, small dogs, old dogs, young dogs, working dogs, sleeping dogs…and everything in between! When he’s not at Dogcity you’ll find James studying/reading up on forensic psychology, playing tennis, performing music, wakeboarding, at the beach, or playing with his dog... or any other outdoors activities that you could possibly think of! Its this energy and enthusiasm that means James fits into the bouncing-off-the-walls excitement that is Dogcity Daycare. Meet our PAWSOME Pack Leaders: There is no dog un-cuddled, no tennis ball un-thrown and no doggy-selfie opportunity wasted with this energetic team. With more energy than a triple shot latte, these guys have more fun, more smiles and more love to give the anyone we’ve ever met! As clients (so they totally know what it feels like to be on the other side of the Viewing Room window) of Dogcity Daycare, Alex and Dan just couldn't pass up the opportunity to take over the reigns - or should we say leash - when the opportunity arose. At 24 and 25 years respectively, Alex & Dan brought a much needed energy and enthusiasm into a business in one of the fastest growing industries in Australia. 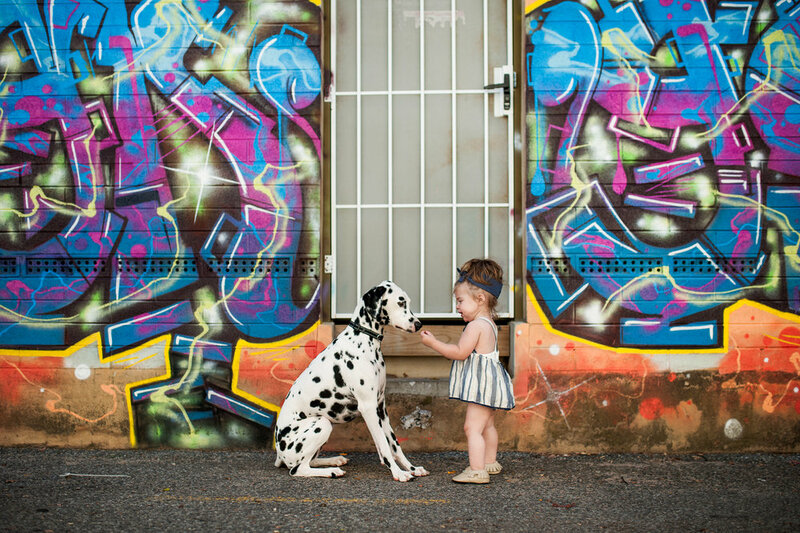 With their inability to sleep (they blame both Dogcity and Evie for that), an unnatural amount of energy and enthusiasm and an indescribable amount of passion for creating safe and positive play opportunities, Dogcity has now become the largest daycare facility in the whole of Australia, the only dog daycare with three facilities, and a national industry leader. Alex holds a Bachelor of Education, and has a background in Primary and Middle School Education, while superstar Dan has a background and expertise in International Sales, Marketing and Business. 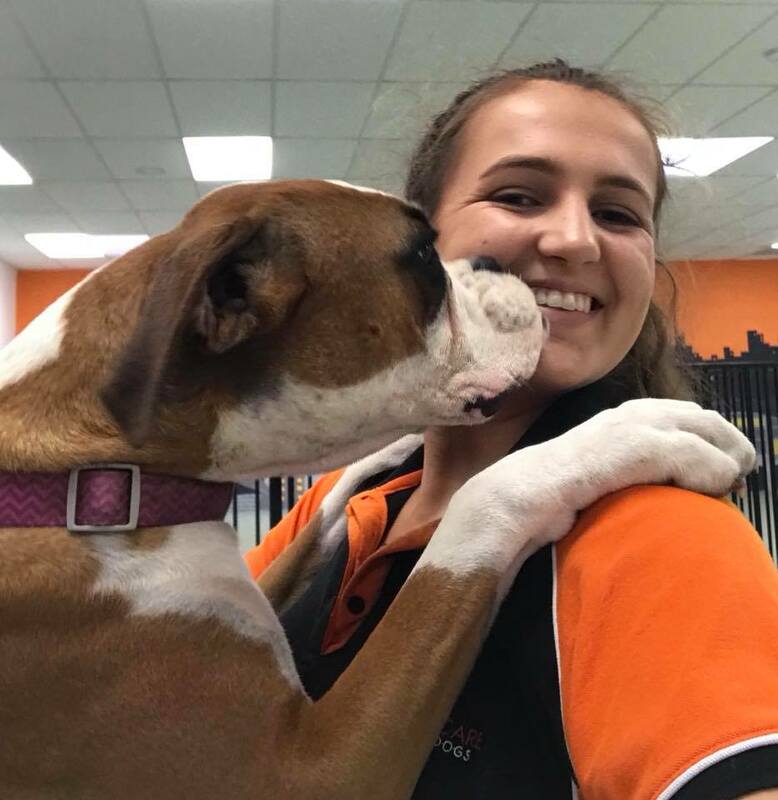 Evie OBVIOUSLY holds a ‘Dog-torate’ in patting dogs, cuddling dogs, giving treats to dogs, and playing with puppies in one of her designated playrooms at the Dogcity facilities - its a whole family affair in small business! To further expand their doggy knowledge, Alex & Dan are studying Diploma in Canine Behaviour through the International School for Canine Psychology. 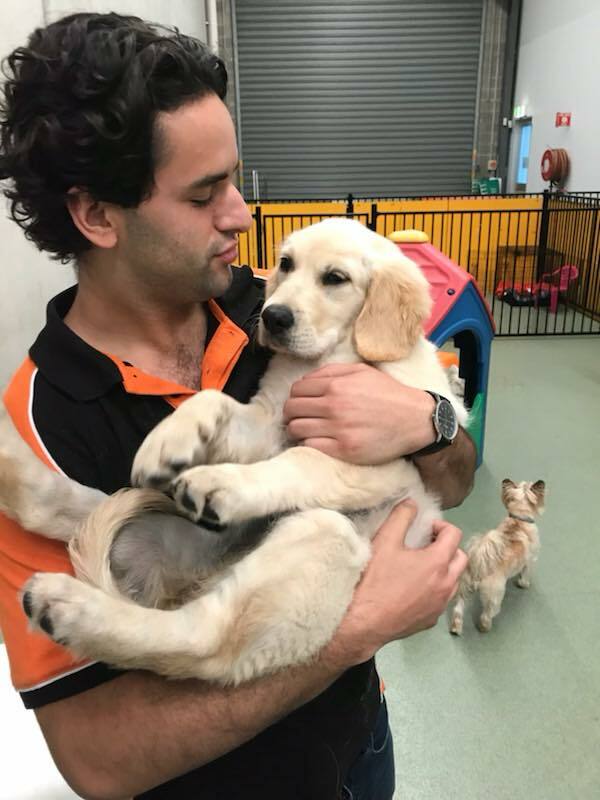 Dan and Alex are passionate about dog daycare as an industry, and will continue to work tirelessly with national and international dog daycare providers, dog experts and Veterinarians to create a better, safer canine community for all… and the best dog daycare facilities in Australia!